We are a most trusted name among the topmost companies in this business, indulged in offering excellent quality array of Eco Friendly Carry Bag to our reliable customers. 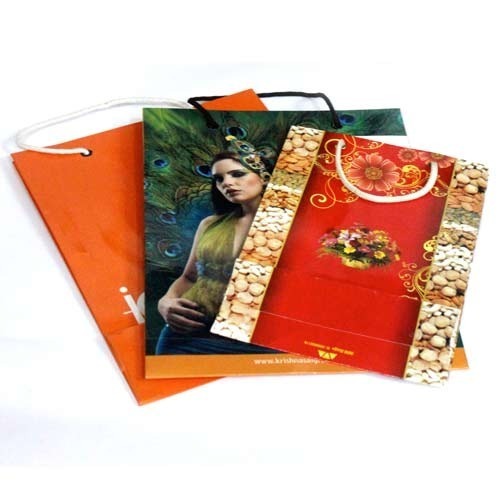 This product is customized as per client’s requirement by using craft and has closing flaps, string handles which are manufactured with various raw material. Besides, it is available at market leading price. Note- Prices may vary according to the Design and the Order of the clients. Sayonara Printers came into existence in the year 1995 as a leading firm in the industry. We are based out as a Sole Proprietorship firm and performing our business activities from Bengaluru, Karnataka (India). Manufacturing and supplying is our nature of business. Since incorporation, we are indulged in offering wide gamut of Dispenser Box, Student Notebook, Three In One Container, Two In One Container, Pharmaceutical Packaging Box and many more. Our products are highly accredited by our valuable customers spread all around the nation. These products are manufactured by our skilled and dedicated team of professionals utilizing the high grade raw material and sophisticated technology. The material is procured from the best and authentic vendors of the market. Our vendors make sure that the material is timely delivered to us. In addition to this, the offered products can be availed by customers from us at the most budget friendly prices. Further, we are supported by a sophisticated infrastructure facility which is well-resourced with the most advanced technology and machines. Our team of professionals works in close synchronization with the customers in order to comprehend their specific demands.